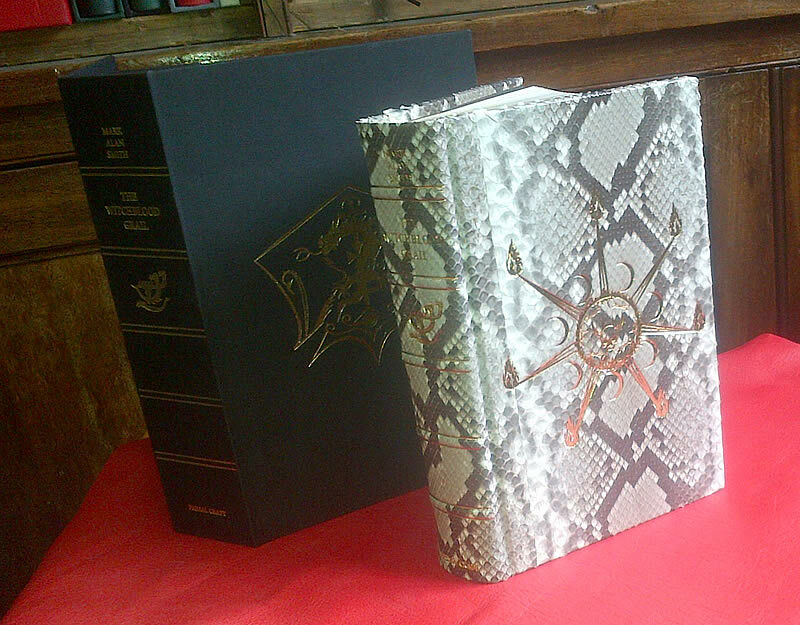 Limited to 36 copies, this title was bound with snake skin and gilded and blocked in real gold foil. The skins of python were not wide enough to cover a full case, so Richard painstakingly matched the panels, as closely as possible, to achieve the desired look. We made head and tail bands from the skin, as well, and the Solander Box was lined with Suedel. We shipped the entirety to Spain where they sold out within a few hours from release.